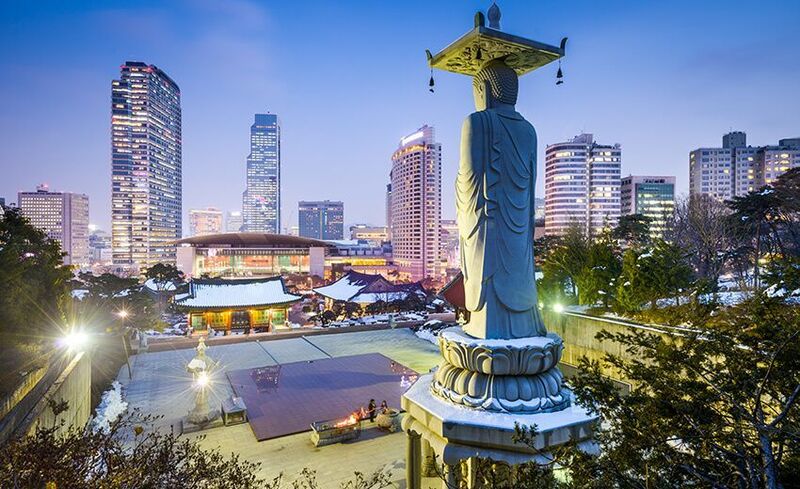 Explore Seoul, Korea's bustling capital. Markets, palaces, mountains and island make this a must visit place. No hidden costs. All inclusive holiday. Annyeong Haseyo Seoul! 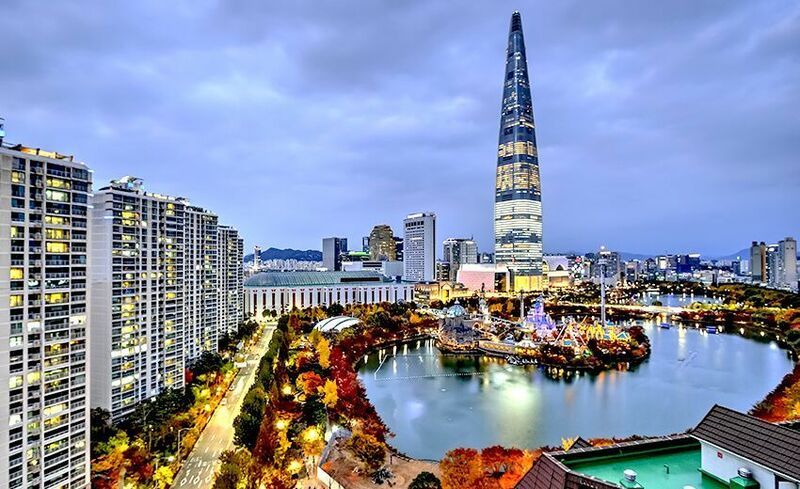 Welcome to the city that is as famous for its innovation as it is for its kimchi and barbecue, breath taking waterfalls, fascinating culture and shopping. Korea is extremely advanced technologically and you can see the passion for technology blended in the city’s architecture as well. The country is made up of over seventy percent mountains, which means you are guaranteed plenty of hikes and adventures. If you are a foodie, then Korea is the place for you. A typical Korean meal is made up of meat, kimchi and rice, while drinking of Soju, a local drink made of rice is considered a ritual. Arrive at Incheon International Airport. Get acquainted with your fellow travelers, meet and greet your tour manager and head to your hotel for check in. Now, you are ready to plunge into the soul of Korea – Seoul. Head out for a bit of exploration of the city by yourself. The moment you step out of the hotel you will be drawn into the delightful melee of sounds and sights of a city that rarely sleeps. Seoul’s neighborhoods are unique, colourful and different and as you walk around, you will begin to understand why it is a tourist hotspot. Try a typical Korean meal of barbecued meat and remember to try kimchi, a local favorite. Overnight in Seoul. Say good morning to Seoul over piping hot breakfast at the hotel. 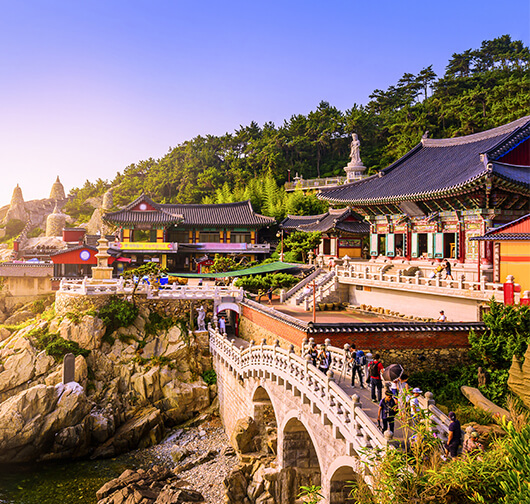 Be prepared to see a city you have never imagined (or perhaps seen in famous Korean drama). 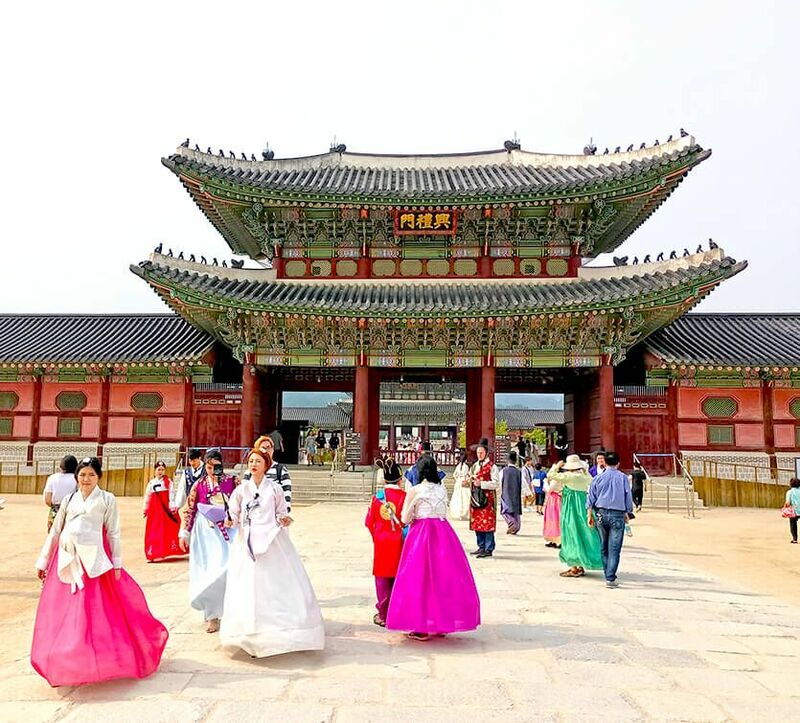 Your city tour begins soon after breakfast with a visit to the Gyeongbok Palace which is one of the most significant evidence of Korean history. The architecture of the Gyeongbok Palace combines principles of ancient Chinese architecture with Joseon Dynasty tradition. 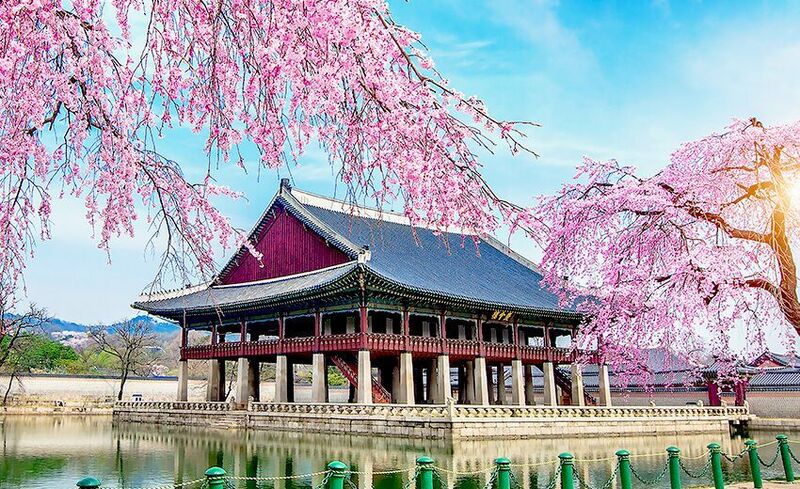 Gyeongbokgung, which means “palace greatly blessed by Heaven,” was built in the heart of Seoul and is surrounded by Mount Bugaksan and Mount Namsan. After exploring this sprawling Palace complex, head to the National Folk Museum located within the Complex to see thousands of replicas of historical objects which illustrates the traditional life of Korean people. After this you have a Photo Stop at Blue House, the executive office and official residence of the head of state of Korea. 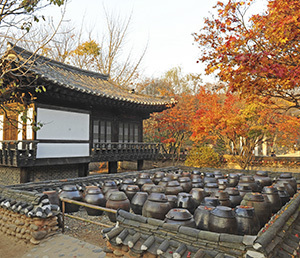 Proceed to Namsan Hanok Village, also called the ‘Village of Traditional Houses’. The village has many old exhibits which reflect the true culture of the country and offers a large number of activities to participate in. If you wish, you can even give a shot at calligraphy. Wander through old buildings and reconstructed homes to get the feel of traditional life in Korea. Check out different earthen-pots where beans are fermented. Beans? Yes. In Korea, beans are considered a historical diet. Many sweet dishes are made of it. Understand different eras of development evident in the typical home furnishings on display. There are lovely craft shops, art galleries, and even traditional teahouses here for you to get the local experience. After this, continue to the Namsan Tower standing at a height of 236m (and the second highest point in the city) to enjoy spectacular views of the city. It is said that at night, the views from the top feels as though fairies have strung out glittering lights around the city! Next you will proceed to the Gwangjang Market which is the country’s first permanent market and a popular tourist attraction. Enjoy Korean street food here to your heart’s content – of course, you cannot ignore the barbecue and kimchi, but there is tofu as well (for the vegetarians). With over five thousand shops here, you will certainly find something to buy or try. Trust us, this place will make a shopaholic of you! Next, visit the Dongdaemun Market to truly get under the skin of Korea-style shopping. Did you know that this market was designated as Special Tourism Zone! 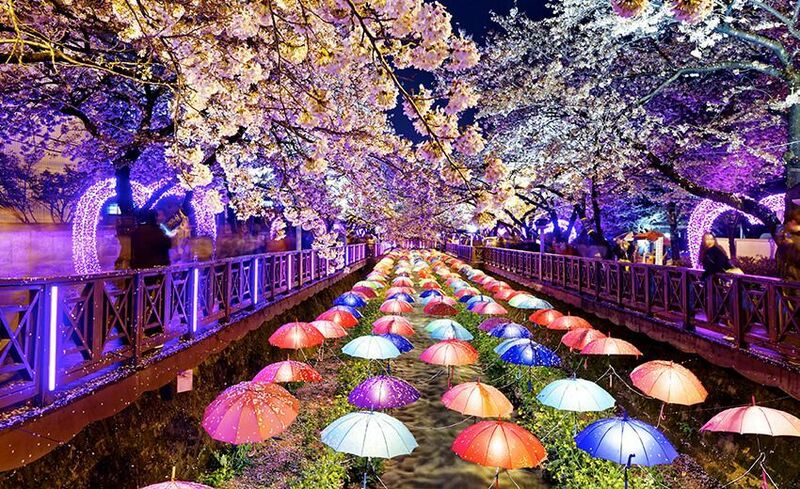 Later, go for a Nanta Show to enjoy the lighter side of Korean life before turning down for the night. Wake up to your third day in Seoul. After breakfast, proceed to Nami Island. Nami Island is a crescent shaped island and one of the most popular places in the country. In fact, Nami Island was the setting of the classic Korean drama Winter Sonata. You can easily spend a few hours reminiscing about the tragic but beautiful love story of Min-hyeong and Yoo-jin. Revel in the beauty and tranquility of the island and get your perfect Instagram shot with the scores of Redwood Trees. Do grab a bite of the pan-fried rice cake as you go in search of Winter Sonata tributes. After your fill of peace and tranquility, return to and proceed to the Hongdae Café Street which, as the name will have you believe is packed with coffee shops and coffee lovers enjoying a cuppa. Remember coffee culture is huge in Seoul and you cannot turn a corner without walking into one. Proceed to the Trick Eye Museum where you can fulfil your fantasy of being cooked in a cauldron or blend in with classical 3D images before winding down for the night Overnight in Seoul. Good morning! Wake up to another beautiful morning in Seoul. Enjoy your leisurly breakfast. Today is a free day for you. You can go out and enjoy a spot of Seoul life on your own, finish up your shopping and generally orient yourself with this spectacular city. Or you can go on an Optional Tour to Suwon. 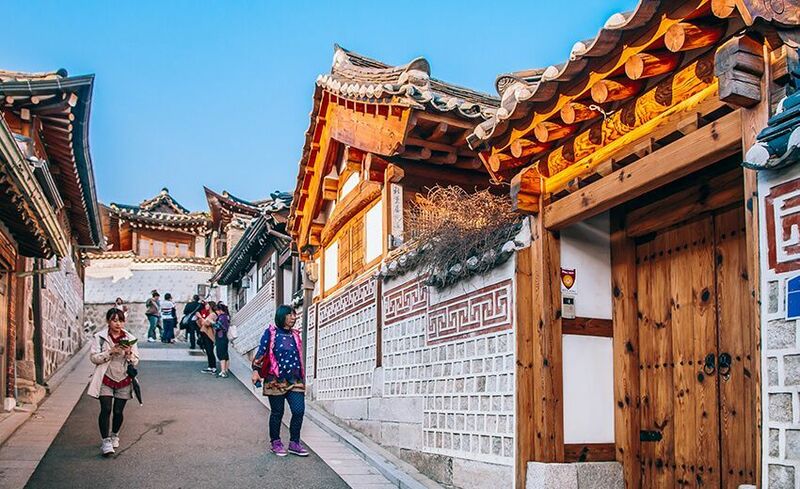 On this tour, you will visit the Korean Folk Village in Suwon .Proceed to the Suwon Hwaseong Fortress which is now a UNESCO World Heritage Site. It is the resting place of Prince Sado. 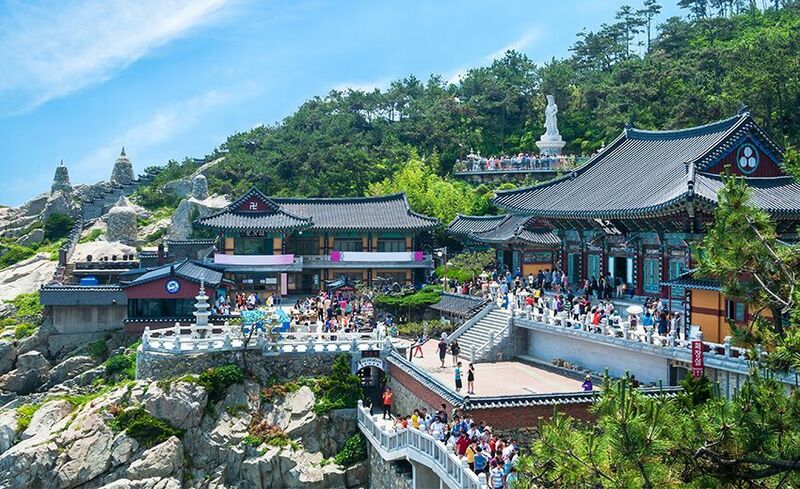 It was built in 1794 with the intention of moving the capital from Seoul to Suwon. There are four gates to enter this fortress. After this, proceed to the Hwaseong Temporary Palace and Suwon Museum which houses a huge collection of relics from different periods of time. It also houses important works of calligraphy. After the Palace visit is complete, proceed to the Korean Folk Village which is designed to make you feel as though you have walked into the past – right into the Joseon Dynasty. Wander through the unique thatched and tiled buildings that have been brought from various parts of the country. Enjoy traditional dances by performers wearing hanbok (traditional Korean clothing), learn how to make paper and watch locals tend to livestock and vegetable garden. Watch tightrope performers put up a show and if you are lucky, you will even get to witness a wedding! Towards the end of the day, return to your hotel for your overnight stay. Greet another beautiful morning with a delicious breakfast. Be ready for a full day of adventure. Today you will visit the most secure border post in the world! Head out to the DMZ (demilitarized zone) which separates South Korea from North Korea. See the soldiers from both countries standing facing each other across the demarcation line. Cross the Freedom Bridge to explore the 3rd Infiltration Tunnel, and observe life on the other side of the fence from the Dora Observatory. Visit the Imjingak Pavilion to watch a film about the Korean War and get an understanding the life on the other side. Visit the Dorasan Station and pass by the Unification Village. Then head to Paju Shopping Outlet for a well-deserved shopping spree. Load up on local goods and rummage for souvenirs in the hundreds of stores. Return to Seoul. Overnight in Seoul. Greet another beautiful morning with a delicious breakfast at your hotel. Be ready for a full day of adventure at Everland Theme Park, Korea’s largest theme park. In fact, it is so huge that you might get panic attacks just being there! There are five themed zones here - Global Fair, American Adventure, Magic Land, European Adventure, and Zootopia and every one of them have something unique to offer. Don’t forget to grab a map of the place – just in case. No matter what you do, make sure you ride the T-Express which is considered to be the most fascinating wooden roller-coaster ride in the world. Watch the fireworks and parades – they are simply out of this world. Return to Seoul. If time and energy permits, head down to a karaoke establishment dotting the city – remember Koreans take their singing very seriously, often singing late into the night. This is your chance to create the next Gangnam! Good morning Seoul. Today is your last day in this beautiful city. Enjoy a leisurely breakfast at your hotel. If time permits, explore the city a little more. Visit Gwanghuwamun Square, a public area that has amazing line up of museums, restaurants and beautiful views and Cheonggyecheon Stream Park a popular cultural arts venue. Go through the Itaewon Fashion Street and Seoul International Mosque for your final goodbye of the city. After this you will proceed to the airport for your return flight home.